Thanks to its pioneering efforts, Semmelweis University was among the first European higher educational institutions that introduced binational programmes. These programmes allow primarily foreign students to follow the Semmelweis curriculum while undertaking their studies at the partner institution abroad. The exemplar cooperation between Semmelweis University and the Asklepios Medical School opens new horizons in European higher education. 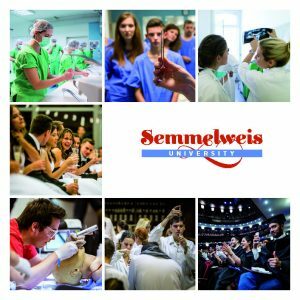 This new and unique education model provides Semmelweis students with the opportunity to continue their studies in Hamburg after having successfully completed two years of theoretical training in Budapest. The programme at the Asklepios Campus follows the Semmelweis curriculum entirely and it provides the students with a Semmelweis diploma at the end of their studies. The Faculty of Medicine Asklepios Campus Hamburg is a binational faculty which operates within the supervision of the University’s Faculty of Medicine. This model was established based on the Amsterdam Treaty which created a unique and successful example of cross-border education in Europe. Semmelweis University’s cooperation with the Lugano Libera Università degli Studi (L.U.de.S.) was created following the initiative of the Faculty of Health Sciences. The L.U.de.S. Physiotherapy BSc programme is completely identical with the one offered at the Faculty of Health Sciences. Accordingly the programme consists of 4 years and is based on both theoretical and practice-oriented courses. The programme is taught in English. The programme provides a diploma which is accepted and valid in the entire European Union. 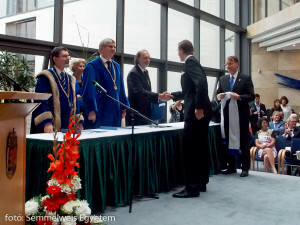 The Hungarian Accreditation Committee approved the initiative in 2009 upon which the programme started with 19 students. The project’s success is highlighted by the fact that today there are 286 students enrolled in the programme. The Bratislava based Health Manager MSc programme was established thanks to the collaboration between Semmelweis University’s Faculty of Health and Public Services and the Slovakian Health Management Academy. The programme which is taught in Slovakian was launched in 2010 and the first group of students obtained their MSc diploma in 2013.